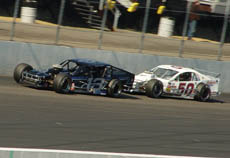 Ted Christopher (#13) led on the track plenty in 2004. He also leads in 51 nominations. When these big “Hollywood-style” award nominations are announced to the general public, it is usually at some movie studio or high-profile location in Southern California. Well, when the nominees for the “51s” were announced, there weren't too many cameras present or even that many stars waiting by their cell phones to get that call from their agent to tell them they have been nominated. But that doesn't mean that the nominees for the “51s” are any less deserving. nominees there really are for the 25 different awards. So here, we take a look. A total of 91 drivers were nominated for awards in the 25 categories. Just about every major touring series in short track racing was represented with a total of 22 different sanctioning bodies or types of racing having at least one nominee. 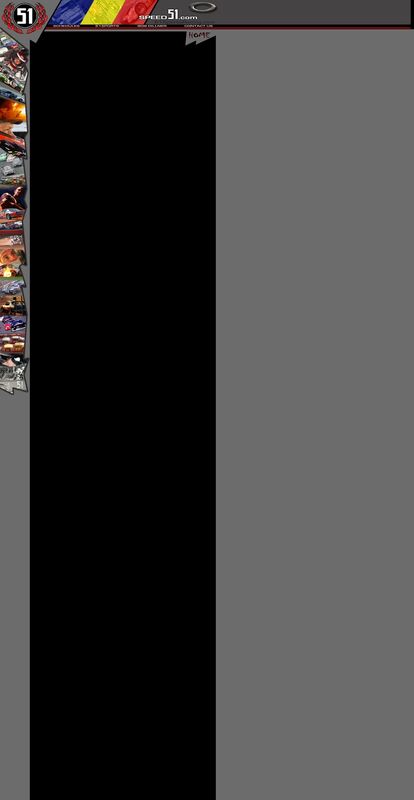 The NASCAR Whelen Modified Series and the ASA National Tour were the two types of racing that came up most often. ASA had a total of 17 drivers receiving 20 nominations. 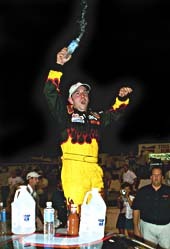 The Modifieds had only 10 drivers, but those guys ganged up to take 21 nominations among them. The Golden Globes have come and gone. The winners have celebrated and the losers have went home sulking. But short track racing fans are more used to their celebrities wearing Nomex suits instead of Gucci treads. So for those fans, Speed51.com has presented the “51s,” our version of those “big-time” Hollywood awards. Nominees for the awards were announced recently and fans have been able to vote on Speed51.com to determine the upcoming winners. The most prestigious category, Short Track Driver of the Year” has nominees from all corners of the United States. There are 10 up for the award. Five are Midwestern raised racers (Kevin Cywinski, Justin Diercks, Bobby East, Frank Kimmel and Steve Kinser). Three (Ted Christopher, Johnny Clark and Andy Santerre) are from the Northeast and two are from the south (Wayne Anderson and Clay Rogers). Clay Rogers might be the best of the best when it comes to the short track world in 2004. What type of racing was most popular? Super Late Model-type cars (including the SSS, PASS, ASA LM, SAS and NASCAR Elite Series) gathered 48 nominees, while steel bodied cars such as ARCA, Pro Cup and NASCAR Grand National Series divisions collected 40 nods. Dirt cars took home five nominations and Late Model Stock divisions (such as UARA and ACT) had three mentions. Since the cars of the ASA National Tour were so unique in their construction and rules, they were not grouped into any pre-existing categories. The seven NASCAR Touring Series had a total of 44 nominations among themselves. It didn’t matter if you were old or young, a cagy vet or an up-and-comer, if you showed the right amount of skill and luck in 2004, you received a nomination. Veterans like Ted Christopher and Freddie Query received plenty of attention, as did young drivers such as Donny Lia, Joey Miller, JR Norris, Jason Hogan and Steve Wallace. Nominees ranged from 14-year-old Joey Logano to ageless wonders like Dave Dion and Junior Hanley. Experience seemed to matter when picking a top dog of short track racing. Only Clark, Diercks, East and Rogers are under 30 years old. 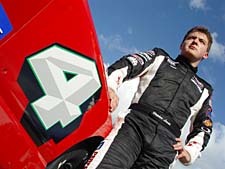 Fans have been able to log on to Speed51.com and see the nominees, but they haven’t been alone. A healthy share of drivers have also been checking out who might be up for an award. 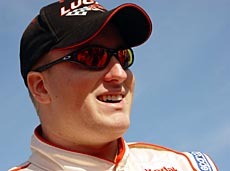 The possibility of being mentioned more often next year is already on the young drivers mind as he prepares for a full season of ASA Late Model racing in 2005. “Next year, I’m going to have to try and get into a few more categories,” said Leicht. Even for drivers who have won big races, such as the Snowball Derby, being nominated is a big honor. Just ask Charlie Bradberry. Stephen Leicht had a season of tough luck, but could redeem it with a 51 Award. Fans can vote for the 51 awards through the end of January. Drivers, their families and their crew members can also vote as well. But keep in mind, only one vote per person, per computer, per day will be counted. Stuffing the ballot box too much is a no-no. Charlie Bradberry hopes that he may have found an advantage in voting for the 51s. welcome. Since racers are so good at doing this off the track, it is no surprise that a few of them might try it for the 51s. Click here to see a ballot for the 51s and to cast your vote.